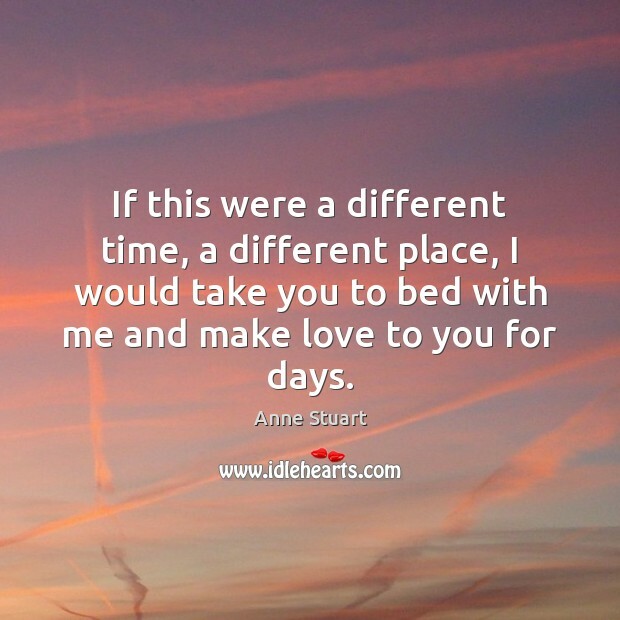 Enjoy the best inspirational, motivational, positive, funny and famous quotes by Anne Stuart. Use words and picture quotations to push forward and inspire you keep going in life! She froze. He reached up and took her hand in his, pulling the knife away, making her drop it on the floor. "Show me how much you hate me," he whispered against her mouth. 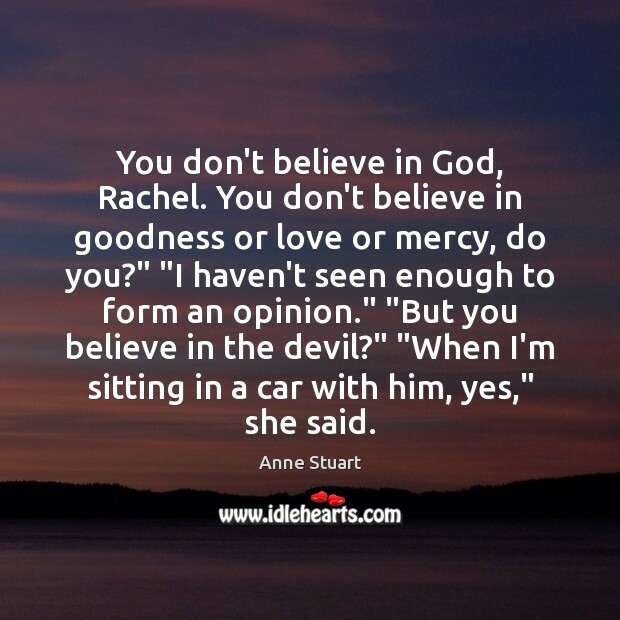 "Prove it to me. I want your innocence. I want your blind, unquestioning devotion to your father, your acceptance of who and what he is. I want you to look at me the way you look at him, knowing the worst. I want you to trust me, even when your brain tells you you shouldn't, I want you to ignore common sense and your lifelong need to protect yourself. I want you to give yourself to me, body and soul. 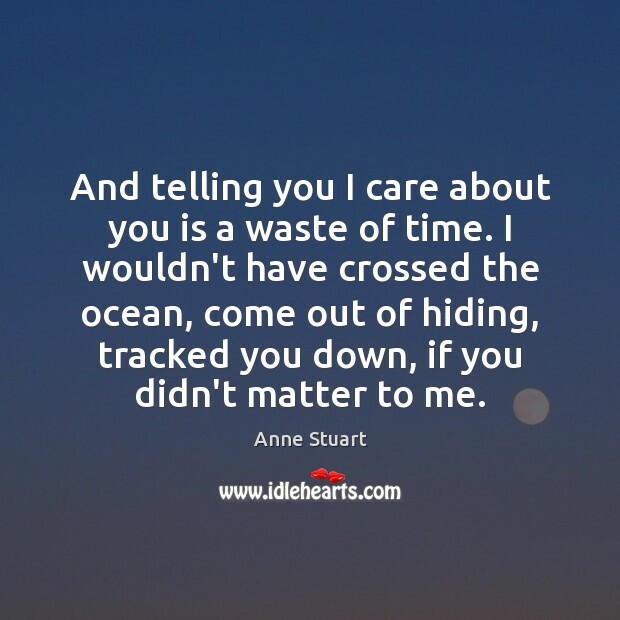 And telling you I care about you is a waste of time. I wouldn't have crossed the ocean, come out of hiding, tracked you down, if you didn't matter to me. 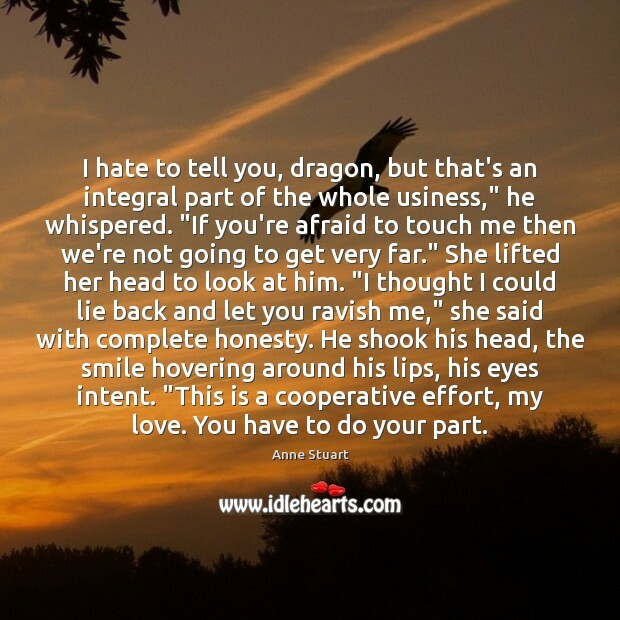 I hate to tell you, dragon, but that's an integral part of the whole usiness," he whispered. "If you're afraid to touch me then we're not going to get very far." She lifted her head to look at him. "I thought I could lie back and let you ravish me," she said with complete honesty. He shook his head, the smile hovering around his lips, his eyes intent. "This is a cooperative effort, my love. You have to do your part. 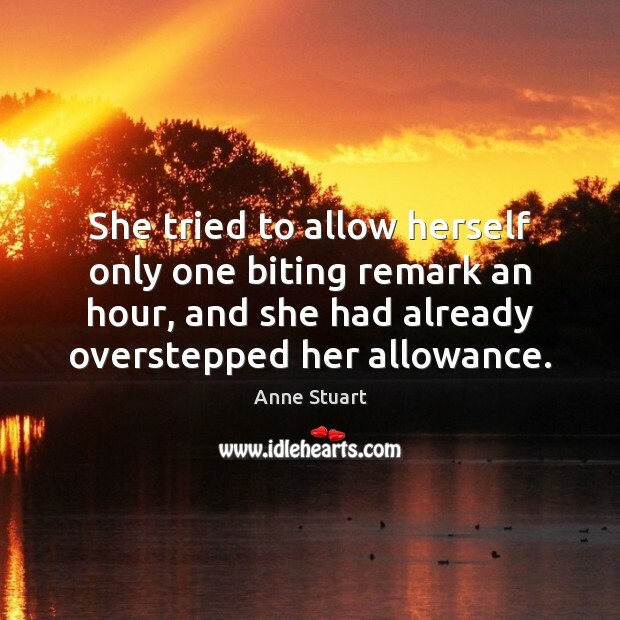 She tried to allow herself only one biting remark an hour, and she had already overstepped her allowance. He pulled her back, off balance so that she fell against him, and he took her face in his two hands and held it very still while his eyes looked down into hers. Somber, truthful, painfully honest. 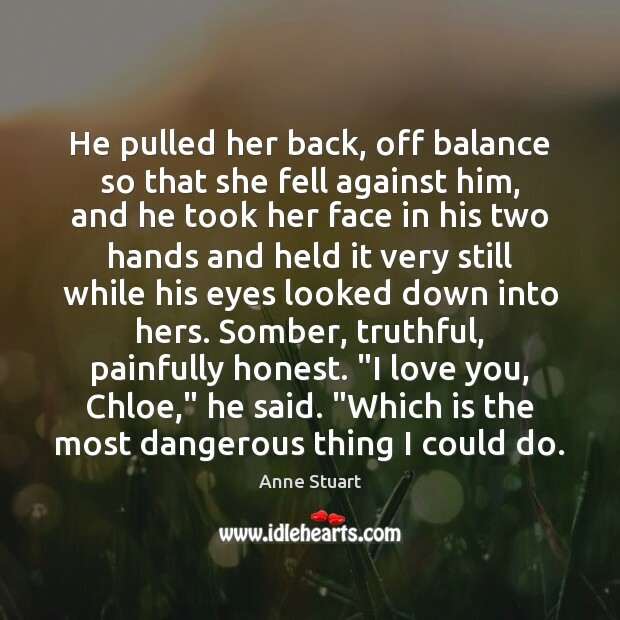 "I love you, Chloe," he said. "Which is the most dangerous thing I could do. You tell anyone that I cried, and I'll cut your liver out." 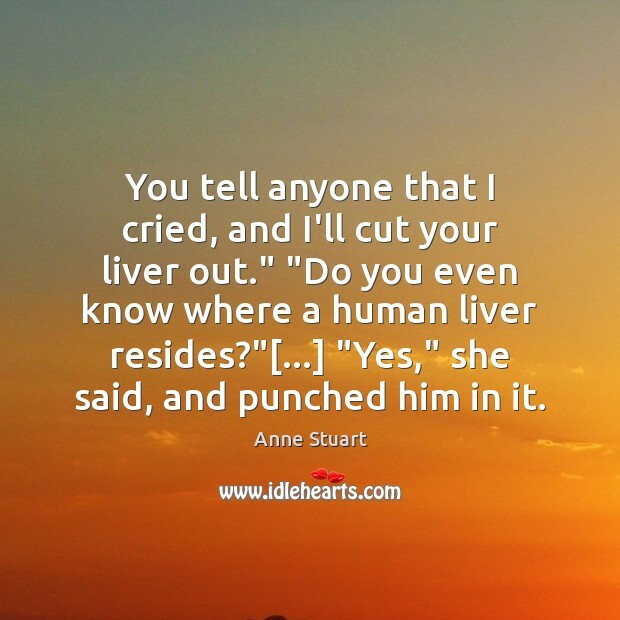 "Do you even know where a human liver resides?"[...] "Yes," she said, and punched him in it. You'd be better served ifyou gave me a moment to regain my self-control and let me remove my boots. It's the least agentleman can do. ""And you're such a gentleman. ""Not with you, love. But I'm trying. If you lust after someone and have an absurd and overwhelming need to protect them, then the best way to deal with the situation is to marry the person. 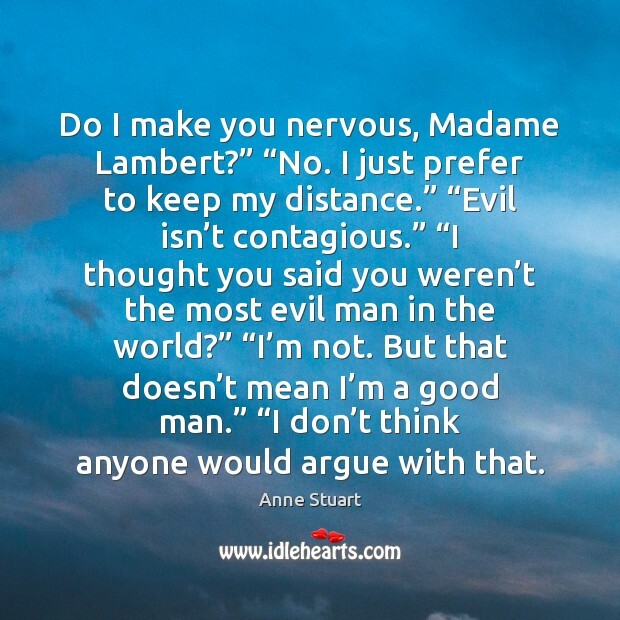 Do I make you nervous, Madame Lambert?” “No. I just prefer to keep my distance.” “Evil isn’t contagious.” “I thought you said you weren’t the most evil man in the world?” “I’m not. But that doesn’t mean I’m a good man.” “I don’t think anyone would argue with that. 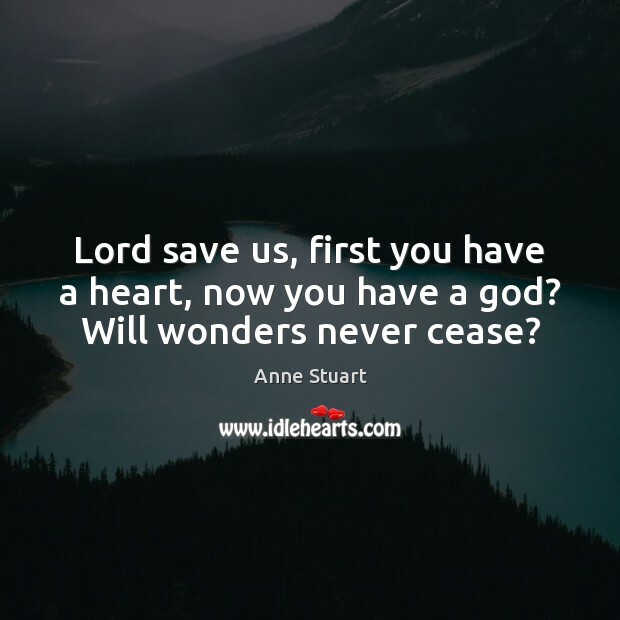 Lord save us, first you have a heart, now you have a god? Will wonders never cease? She had the underwear of a thirteen-year-old, as well, he thought. He glanced back at her. But the shoes of a courtesan. 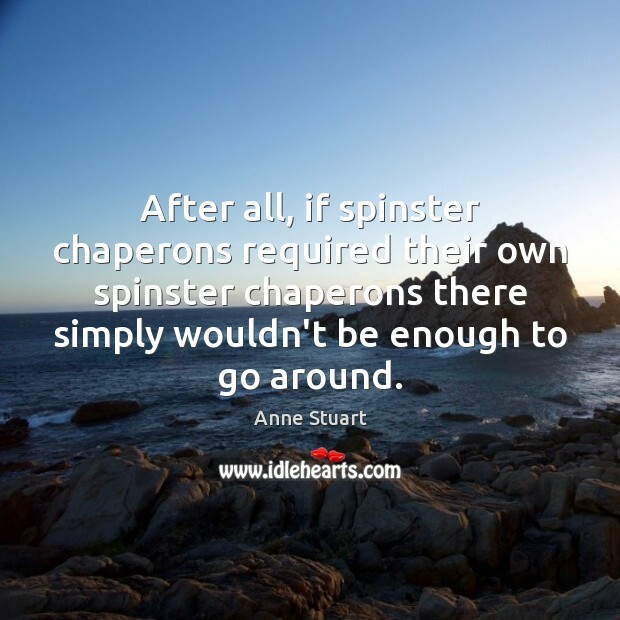 After all, if spinster chaperons required their own spinster chaperons there simply wouldn't be enough to go around. He was sound asleep, his long legs stretched out in front of him, the blessed fire blazing, an empty bottle of wine by his side. He hadn't been shaved recently, and he looked rumpled, dissolute and beautiful. Like a fallen angel. 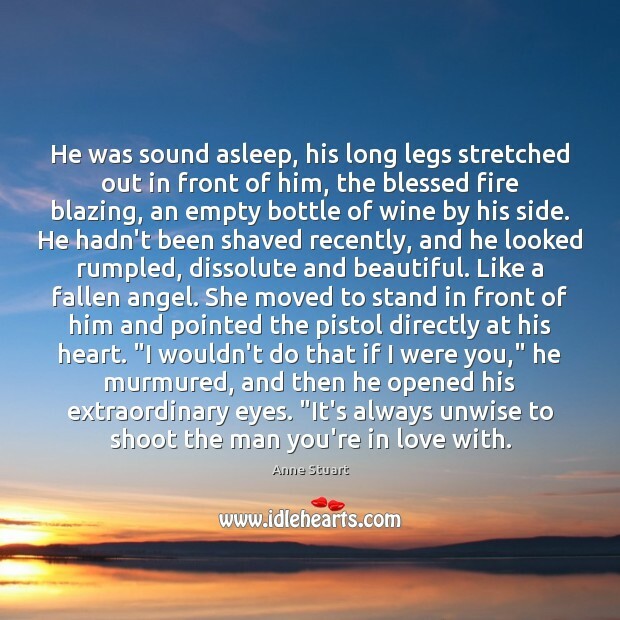 She moved to stand in front of him and pointed the pistol directly at his heart. "I wouldn't do that if I were you," he murmured, and then he opened his extraordinary eyes. 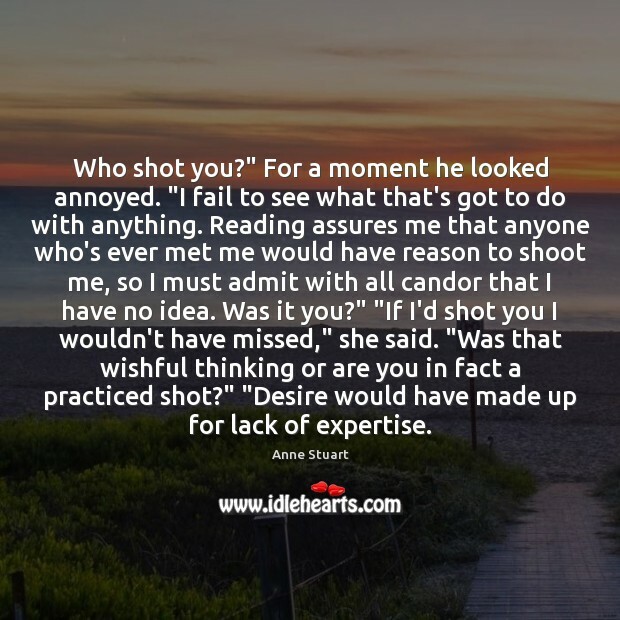 "It's always unwise to shoot the man you're in love with.